Here's my newest pinup! 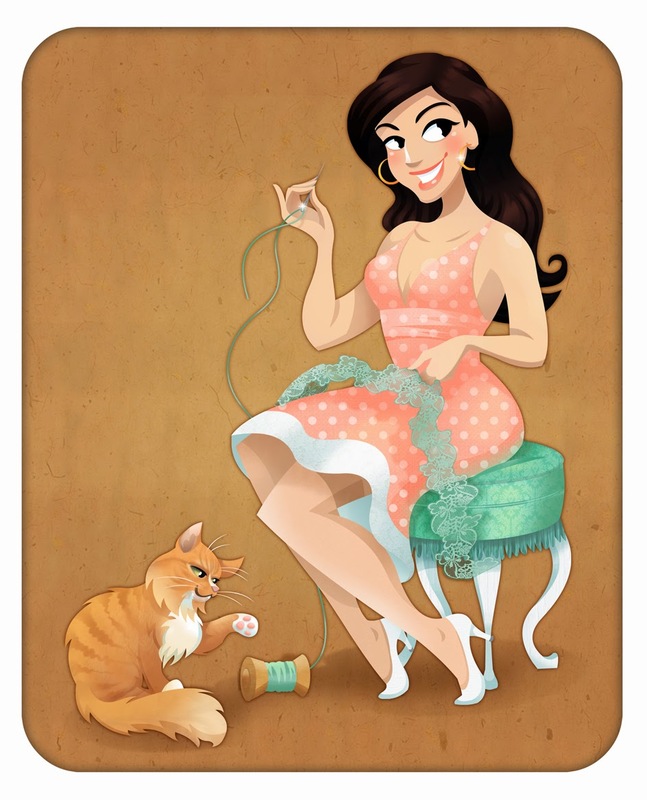 Of Suzanne, who loves to sew, with the help of her tabby cat! Pinups - Bianca and April's Wedding Pinup!